Will the Craftsbury Chamber Players change? Many years, I wrote in a review, The Craftsbury Chamber Players are responsible for some of the best and most interesting chamber music in Vermont. And that certainly hasnt changed. But something has  and its big. 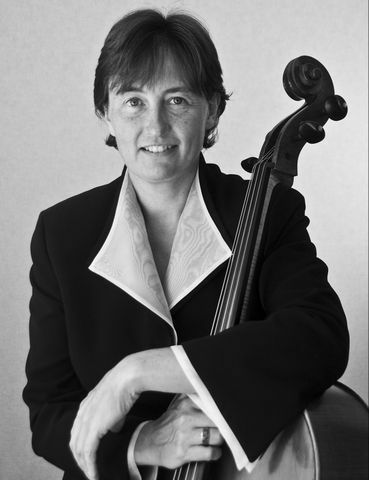 Pianist Mary Anthony Cox, the Players music director of countless years, is relinquishing the reins to cellist Frances Rowell. What will this mean to one of Vermonts most venerable summer music festivals? The Craftsbury Chamber Players, a close-knit core of New York-based professional classical musicians, first came together to play chamber music in Vermonts Northeast Kingdom in 1966. The original quartet of Cox, pianist Alan Birney, violinist Ann Rylands Birney and her sister, cellist Mary Lou Rylands, first performed in the Sterling College (then School) dining hall on Craftsbury Common. Their growing audience soon required expansion of the ensemble and repertoire, then a move to Hardwicks much larger Town House. This is where I first discovered them in the mid-70s (long before my illustrious days as a Vermont music critic). A recent graduate of Marlboro College, I was quite impressed with the only performances Id heard in Vermont to rival those of Marlboro Music Festival. The early 1980s saw the addition of weekly performances in Burlington at the University of Vermont Recital Hall in association with the Lane Series. It was in the late 80s (in my current role) that I met and befriended Cox, who was the guiding light of the Players. Part of my attraction to Cox was that her teacher and mentor was the legendary French pianist Robert Casadesus, my favorite pianist of all time. As a longtime concert pianist, ear-training professor at Juilliard (and Curtis before that), her knowledge of music and musicians was encyclopedic. Coxs piano and music making was craftsman-like in the French way, beautifully using control of the sound for expression. But her greatest contribution to the Players  and us  was her unique and canny programming. She would lull us into comfort with a lovely introduction piece, slam us with a challenging but exciting contemporary work and then reassure us with a major traditional masterpiece. It was a formula, but it worked  and we were the better for it. Change at the Craftsbury Chamber Players has always been incremental. But quietly, they have changed from predominantly Juilliard-based  where Cox has so many contacts  to much more Vermont-centric. It began when Cox married Craftsbury farmer Morris Rowell in 1974. (She commuted weekly from Vermont to her Juilliard job.) Rowell was the father of two very talented daughters. Violinist Mary and cellist Frances grew up playing in the Vermont Youth Orchestra and went on to earn bachelors and masters degrees at Juilliard, and to successful professional careers. Mary mixed traditional violin with rock, tango and avant-garde in New York, where she was a founding member of the fabulously successful contemporary string quartet Ethel. Frances took a more traditional route, becoming a cellist with the New Jersey Symphony. But throughout their professional careers, both have been faithful members of the Craftsbury Chamber Players. More recently, both have renewed their Vermont ties. Mary has made Brandon her home and commutes to her New York job, concertmaster at Radio City Music Hall, as well as performing frequently in Vermont and throughout the country. Frances remains at the New Jersey Symphony but has been appearing more frequently in Vermont concerts, most recently in Capital City Concerts Music of J.S. Bach in Montpelier and Burlington. She is a wonderful cellist, the only person I have heard not only make sense of Elliot Carters knotty and cerebral Cello Sonata, but deliver its beauty. There have been other Vermont connections developing. Founding cellist Mary Lou Rylands now lives in East Craftsbury. And Katherine Winterstein, concertmaster of The Vermont Symphony Orchestra, has been a participating violinist for more than a decade now. Cox, who recently retired after 49 years at Juilliard, will stay on as music director emeritus, so there will likely be some programming continuity. And with Frances Rowell as the new music director, there is likely to be another, more important kind of continuity  some of the best and most interesting chamber music in Vermont. Jim Lowe is the music critic and arts editor of The Rutland Herald and The Times Argus, and can be reached at jim.lowe@timesargus.com or jim.lowe@rutlandherald.com.